05/09/2011 - Positive outcome for Team Lucidi Motors at the end of the weekend of Adria, fifth round of the Italian Formula 3 2011 Championship. In qualifying held Saturday, Eddie Cheever set the third fastest time (1'11.965) and brought his Dallara all the way up to the second row of race one's starting grid. Slightly delayed were his team mates instead as Guerin was eighth and poleman of race two (1'12.066), followed by Giovesi (1'12.105). 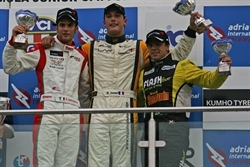 Race one did not offer particular twists: Cheever produced a spotless performance and kept the third position from lights to flag, while Giovesi ended seventh. A contact with a rival spoiled Guerin's performance instead has he was forced to an unscheduled pit stop to replace the nose of his car and ended only twelfth. The rain fallen after race two's start made it much more thrilling as all drivers kept on going with slick tyres: with low grip levels Giovesi has been author of a strong recover and lap by lap he climbed all the way from the ninth spot of the grid up to the second final position. 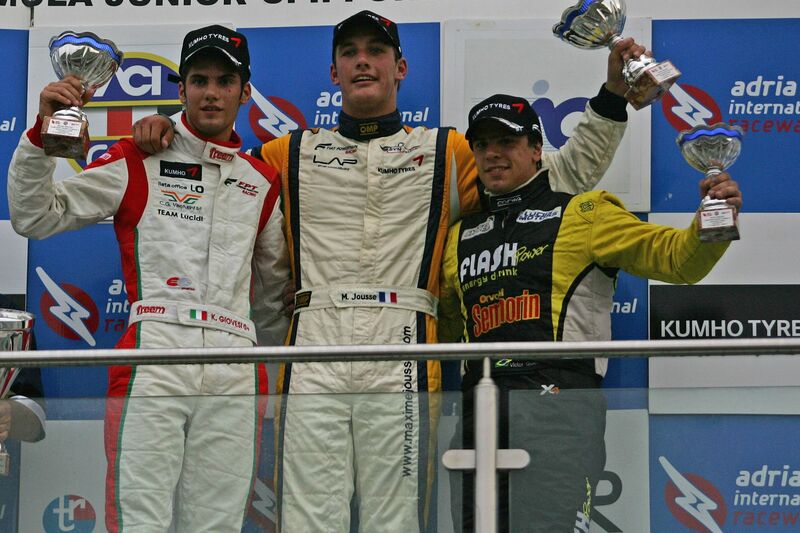 Important podium also for Guerin, third, while Cheever ended fifth. In the absolute classification Giovesi is now seventh at 67 points, 19 shy of the leader, followed by Cheever at 56 while Guerin is tenth at 34. "It has certainly been a positive weekend for our team, with all drivers ending on the podium of one of the two races. Giovesi has been great while recovering seven positions on the wet, conditions where also Guerin defended himself well; Cheever's performance has to be highlighted too has he has been fast in qualifying and consistent in the races". The Italian Formula 3 Championship will be back next 18 September in Vallelunga.